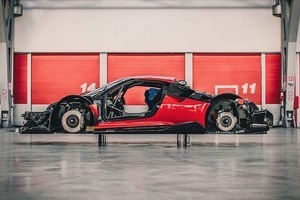 Behold: the Ferrari P80/C track car – a bespoke, one-off take on the classic 1960s P330 with elements of the 1966 Dino 206 S and a twin turbo V8, seven speed setup based on the 2015 Ferrari 488 GT3. No you can’t buy one. 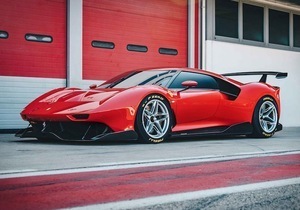 Yes, it would get scratched in Tesco’s car park. 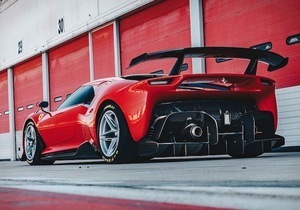 Posted in Design and tagged Ferrari P80/C at 12:44 pm on March 26, 2019 by Chompsky. My concern with that sort of safety harness is that it’s unlikely to allow the shiftage necessary for the breaking of wind? That is a thing of great beauty!